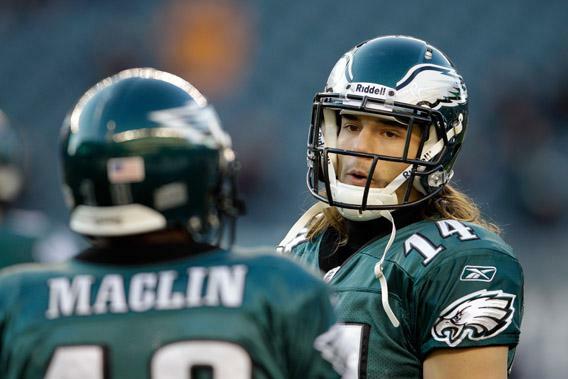 Riley Cooper racial slur: How does racial sensitivity training work? What Happens in Racial Sensitivity Training? How counselors will try to talk the racism out of Riley Cooper. What will Riley Cooper learn in racial sensitivity training? Philadelphia Eagles receiver Riley Cooper will attend sensitivity training after a video showed him using a racial slur toward a security guard at a Kenny Chesney concert. How do you teach racial sensitivity to an adult? With movies, role-playing, and lots of talking. For an ordinary wayward employee, remedial racial sensitivity training tends to last between two and four hours. The trainer begins by asking the subject to give his version of events. There’s usually some kind of excuse or explanation at the end of the story. If Cooper undergoes this kind of training, he will likely claim that using the N-word was a remnant of his upbringing or a moment of weakness rather than a manifestation of actual racism. Others claim that their comments were taken out of context or misunderstood. None of those excuses matter in a half-day meeting, though. The goal is to help the client understand how his behavior, not his views, affects his colleagues. It’s nearly impossible to undo any underlying racism in a few hours. Most importantly for the employer, the session provides some legal and public relations cover. Role playing is common in group diversity training, even though it’s the source of much comic relief in television and movies. One well-known exercise is the “brown eyed/blue eyed” simulation, in which the trainer gives special treatment to some participants based on eye color. They may get special food for lunch and sit in the front of the classroom to teach the others how enforced segregation feels. A popular alternative is the game “Archie Bunker’s Neighborhood.” Participants are randomly assigned racial identities, and the room is sectioned off by race. The “white” participants get the most space. The goal of the game is to use fake money to build housing and grow the community, while the leaders of the town thwart the process with their ethnic prejudices. Role playing is a risky strategy, according to diversity trainers, especially with people who have a history of biased behavior. The games sometimes end in screaming matches and occasionally lead to fisticuffs. Thorough and nonjudgmental debriefing is more important than the game itself. Many trainers close the session with a recommended reading list, including such titles as To Kill a Mockingbird, Fire in a Canebrake, or Obasan. If the Philadelphia Eagles want something more than a cosmetic half-day training but can’t do a group session because of Cooper’s infamy, the best alternative is a series of personal counseling sessions. The best trainers in these cases are clinical psychologists or members of the clergy, because they can guarantee confidentiality against inquiries from the employer or plaintiff’s lawyers. Unfortunately, few diversity trainers have such credentials. Although the numbers may have changed in recent years, a 1998 survey suggested that only 2 percent of diversity trainers have a relevant degree. Does racial sensitivity training actually work? It’s difficult to say. A 2007 study of 829 companies that use diversity training suggested that the sessions make virtually no difference in the number of minorities hired or promoted into management positions. (Employing a manager of diversity or a diversity task force produces far better results.) There are also troubling anecdotes, like the Texaco executives who were taped referring to employees as “black jelly beans” who were “glued to the bottom of the bag” after seeing jelly beans used in a diversity training session. It’s hard to draw any firm conclusions, though, because training methods vary widely. Explainer thanks Valerie Pruegger of the University of Calgary and Cris Wildermuth of Drake University.